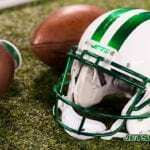 JetsInsider.com > News > Blogs > Are the Jets Playing for Todd Bowles’ Job? 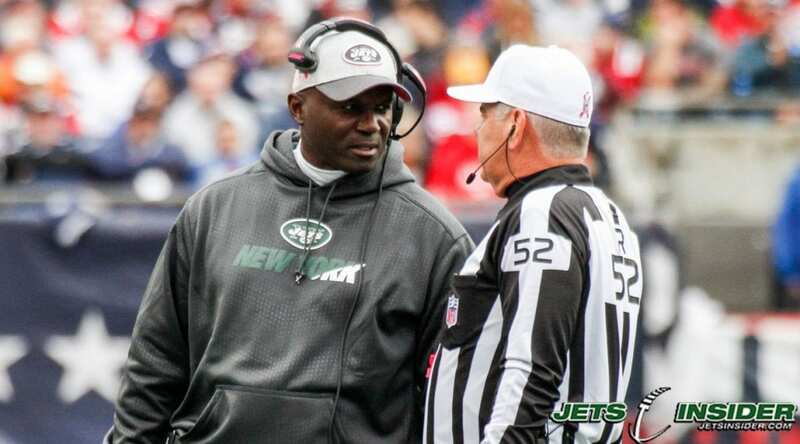 Are the Jets Playing for Todd Bowles’ Job? Todd Bowles is on the hot seat, which is nothing new for him. His team is underperforming, and he hasn’t had a winning season since 2015, his first year as head coach. Since then the Jets are 13-27. The Jets are a team undoubtedly heading in a new and better direction. In the past, teams who have undergone massive talent change and are now in need of a culture change start looking for a new head coach. The 2018 Jets could fall into that category. The Dolphins are an average team at best, and are below average with Brock Osweiler at the helm. The last time the Jets faced off against the Dolphins, Ryan Tannehill played extremely well, the Jet offensive line had a porous performance. William Hayes and Robert Quinn were in Sam Darnold’s face all day, and each recorded a sack and a QB hit. William Hayes became the first unfortunate veteran to fall victim to the new rule changes a couple weeks later, tearing his ACL while trying to avoid falling with his weight on Raiders quarterback Derek Carr. They still have Cameron Wake, so Darnold will still have to get rid of the ball quick. The Dolphins defense is barely north of average, but the Jets did themselves no favors, generating 42 yards rushing with a paltry 2.2 ypc in the 20-12 loss. When asked about the rushing performance in the last game, Coach Bowles said determinedly “[Miami] did a good job. We’ve got to do a better job running the football”. For the large part, they have. The offensive line has been inconsistent this year, putting in stellar pieces of work against Denver and Indianapolis, while also having costly performances versus Jacksonville and Chicago. When the Jets offense find their confidence and balance, they start humming, and have run away with games. However, building a lead does not always happen, and this is not a team that is built to win from behind. Especially if they are playing without Robby Anderson. If they don’t get off to a good start, look for them to play down to the Dolphins level and for it to become an ugly, gritty game, decided by a turnover or a big defensive stand. Darnold threw two interceptions in their first match-up, although it was in the midst of becoming the youngest player to ever throw 300 yards in a game. Now there are murmurs out of Miami that standout rookie Minkah Fitzpatrick is in line for more playing time. If the Jets don’t get some receivers back from injury, Darnold could be in for his worst game as a Jet. Quincy Enunwa and Robby Anderson are both listed as questionable this week with ankle injuries, and their absence last week in Chicago made moving the football considerably more difficult than it should have been. Enunwa looked speedy running routes and was flying around individual drills on Friday, while Anderson still appeared to be slightly hobbled. Anderson had a modest three catch, 27-yard performance last time out, but Enunwa played well against the Dolphins, recording seven catches for 92 yards. If he is ready to go Sunday he could be a serious game-changer. The Jets have lost four of their last five to this bitter divisional rival, and it’s never good for locker morale to go 0-2 against divisional opponents. If the Jets are going to be a serious football team in the near future, this is the type of games they should be winning now. Both teams are short a bevy of playmakers, which means that can no longer be the excuse for Todd Bowles’ club. After all, at the end of the day, it all falls on the head coach. If the Jets go 0-2 before the bye, heads will roll. Next week they play at home vs. Buffalo.